Happy St. Patrick’s Day! I was originally planning to make this post about Irish books that I’ve read and loved, but it turned out that I couldn’t think of enough of them to fill out a Saturday Seven list on this topic. My goal for next year is to change that, so do speak up if you know of any good reads from that country. In the meantime, let’s talk about books that all happen to have green covers. If I ever become wealthy enough to buy a big house and fill one room of it with nothing but books, I’m going to be terribly tempted to sort those books out by colour. Don’t you think it would be magical to walk into a room that looked like a rainbow? I also think that arranging stories like this would be an interesting way to stumble across something you might have never otherwise picked up. As I’ve mentioned on this blog before, some of my aunts and uncles were still kids when I was born. It was a little like growing up with older siblings except that we never lived in the same house and therefore didn’t have to share toys or bedrooms with each other. I remember my youngest aunt reading this story to me when I was very young. At the time, I loved it. 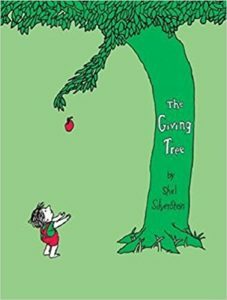 Now I wish I could talk to Mr. Silverstein and find out whether he thought it was a virtuous thing for the tree to sacrifice every single part of itself for the boy or whether he was warning his young fans about the dangers of giving so much of yourself that you have nothing left for your own needs. 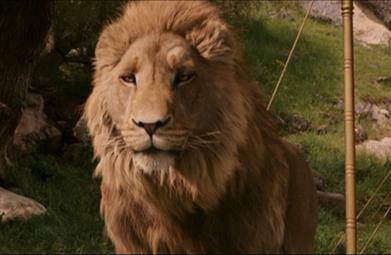 This is my favourite story in the Chronicles of Narnia series in large part because of how C.S. Lewis came up with the idea of writing about a young boy whose mother was dying from a disease that had no cure. I won’t spoil it for anyone, but knowing the context of those scenes made them even more poignant. As much as I liked them, the last few Harry Potter books were so dark that I don’t reread them as often as I do the earlier ones. 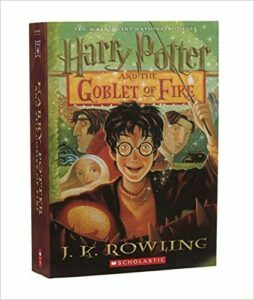 Harry Potter and the Goblet of Fire struck a nice balance between the sillier themes of the first few books and the very serious themes of the last ones. I also appreciated the way Ms. Rowling fleshed out wizard society. 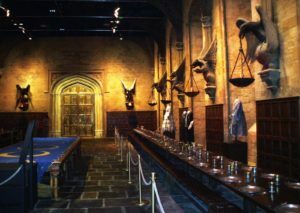 The audience was able to see just how well wizards and witches could live their entire lives cocooned away from muggle society without feeling like they were missing out on anything at all. Also, the Triwizard Tournament was a thrill. 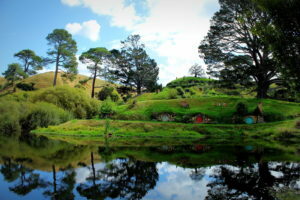 I remember feeling afraid for Harry when he dove into the lake and began searching for the merpeople. Even magical humans can only survive for a few minutes without oxygen, and I wasn’t sure that his solution to breathing underwater was going to work. 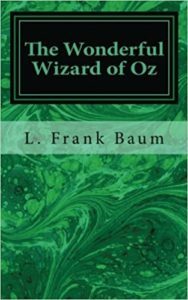 The Wonderful Wizard of Oz by L. Frank Baum. As fun as the movie adaptations are, the original Oz series was a million times more creative and sometimes even downright bizarre than anything that made it onto the big screen. I have no idea where the author came up with half of his stuff, but they sure did make for an attention-grabbing plot. Don’t read this to young kids, but do go read it. 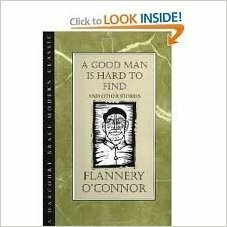 A Good Man is Hard to Find and Other Stories by Flannery O’Connor. I adore O’Connor’s writing style, although I will admit to not understanding a lot of her stories when I first started reading them. It took some rereads and a few more years of maturing before I began to see what she was saying about ethics and morality. She’s yet another author I wish I could take out for a cup of coffee and have a long conversation with. 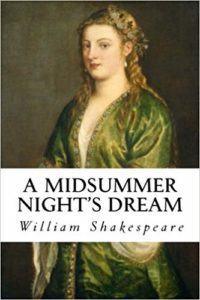 A Midsummer Night’s Dream by William Shakespeare. When I was a teenager, my mom took me to see a production of this play that had been put on by a local college. I loved every single bawdy minute of it, and I’ve been a fan of it ever since. 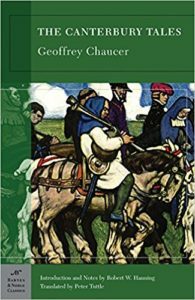 The Canterbury Tales by Geoffrey Chaucer. I had no idea what to expect what one of my college professors assigned a few of these tales to us. “The Wife of Bath’s Tale” was my favourite one because of how much it revealed about what it was like to be a woman in England during this time period. For example, women were defined by their relationship to men back then. They could be a maiden, a wife, or a widow. Their options outside of these roles were all but nonexistent. If only Chaucer had been able to finish this series. 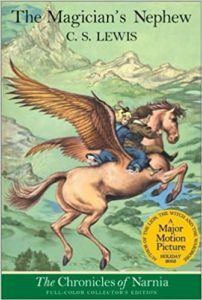 What books that have green covers have you read recently? Do you sort out your books this way in general, or am I part of a small minority of readers on this issue? Today I have three embarrassing stories to share with you. 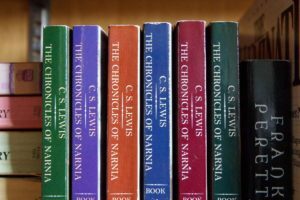 Before I dive into them, let me explain a few things about my childhood to the new readers of my blog. My parents were lovingly protective of their children. There were certain facts of life – and, as I like to joke, a particular English sweet as well – that they shielded us from until we were old enough to fully understand them. 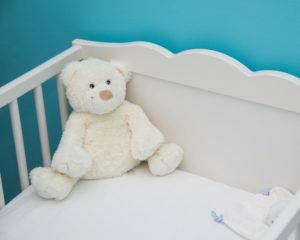 I should warn my sensitive readers that this section of today’s post post contains two brief references to infant deaths. My parents were married long before they conceived their kids. This was a pattern that was also repeated with my grandparents, aunts, uncles, family friends, and the vast majority of the other adults in my community. While I met some kids whose families didn’t fit that mold when I began attending public elementary school, my assumption about the world was still that this was a rare and very recent occurrence. Due to all of these assumptions and previous experiences, I was endlessly confused by a line I read in a biography of Winston Churchill that gave a date for his parents’ wedding that was much less than nine months before his birth. Shortly before I picked up this book, I’d read a Reader’s Digest article* about a premature baby who died despite many heroic efforts by her doctor and nurses to save her. My family knew at least one other family who had lost a baby this way. Due to all of these facts, it didn’t make any sense to me that premature babies born in the 1980s and 1990s who had access to wonderful medical care would die while one who was born at a time when no one knew anything at all about keeping preemies alive would thrive in the 1870s. I spent an embarrassing amount of time assuming that his parents had been unbelievably lucky and resourceful instead. There was even moment when I briefly wondered if Mr. and Mrs. Churchill had shared their amazing knowledge with their local doctor. Maybe he was the first doctor who ever began testing new theories on how to keep premature babies alive? You really don’t want to know how long it took me to figure out that Winston Churchill was probably conceived months before his parents got married and not a micro-preemie at all. *Yes, I literally read everything I could get my hands on as a kid. I even read my mother’s nursing school textbooks! One year I decided to read J.R.R. Tolkien’s The Hobbit and the Lord of the Rings trilogy. 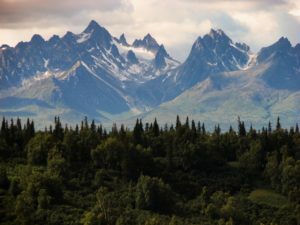 Winter felt like it was never going to end, so I hoped I could pass the time by finally finding out what happened during Bilbo and Frodo’s adventures. Suddenly, I began to notice references to “faggots” in these stories. Characters wandered into the woods to pick them up without any explanation of what was really going on there. The first time it happened, I thought Tolkien was being vulgar, homophobic, and nonsensical. 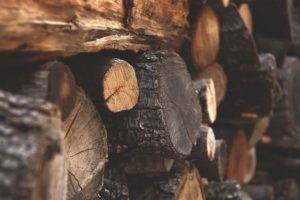 When I looked up that word in a dictionary, I was completely confused by the idea that such a hateful term was originally used as a unit of measure for wood. As much as I enjoyed the storyline itself, I shuddered every time that word appeared again. Knowing that the author in no way meant it as a slur definitely helped, but I was still horrified by the thought of an innocent word being twisted into such a vile one over the centuries. I briefly referred to this story a year and a half ago, but now it’s time to tell it in full. The first time I read C.S. 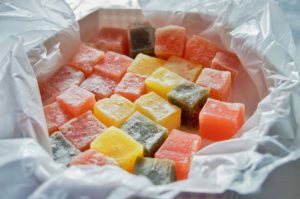 Lewis’ The Lion, The Witch, and the Wardrobe, my mouth watered at the thought of Turkish Delight. 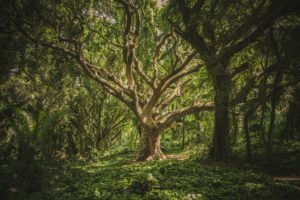 Like talking animals and lamp posts growing in the middle of a magical forest, I assumed it was yet another piece of this fictional world that I’d always wish could become real. It was hard to picture what Turkish Delight really was. Edmund loved it so much he betrayed his siblings for it, so I imagined it was the most delicious candy that would or could ever exist. Occasionally, I’d try to picture it over the years for the sheer joy of challenging my imagination. Sometimes it was some sort of dairy-free gourmet chocolate that I could eat. At other times I imagined contradictory combinations of treats that couldn’t possibly exist in our world. For example, the softness of cotton candy combined with the warmth of hot fudge might have tempted me into climbing into a strange woman’s sleigh as a kid if Narnia was capable of producing such a thing. I grew up, moved far away from home, and got married. Turkish Delight occupied less and less of my speculations about the world until one day I spotted a box of it sitting on a perfectly ordinary candy store shelf. “Wait, Turkish Delight is REAL?” I said in a voice that was slightly too loud for the occasion. “Since when?” I asked. Another film version of The Lion, The Witch, and the Wardrobe had come out a few years before then, so I assumed that the producers of it had taken a look at all of the wildly successful Harry Potter candies and decided to make this treat a reality as well. When my spouse explained that this wasn’t a new type of sweet and that it had existed back when C.S. Lewis first wrote this series, my brain practically exploded. Why hadn’t Turkish Delight become commonplace in North America since this series was released? Was it a common treat in England? Why was this the first I was hearing about it? I still don’t have the answers to those questions, but I smile every time I see it for sale at the store. Maybe one of my British readers will have answers for me someday! What is one funny, embarrassing thing you’ve learned from a book? There’s something about the snowy days of January that makes me want to curl up with a classic science fiction novel and not lift my head up again until April. I’m not entirely sure why I have this urge. Maybe it’s because burying my nose in something that was old and often assigned in English class a few years after I’d read it was exactly how I used to spend cold winter weekends when I was a kid? There is also the joy of discovering a story you’ve heard lots of references to in other places. I was positively thrilled to finally get the real version of the first entry on this list. 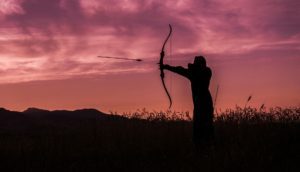 As interesting as movies and TV shows are, they often make changes to the characters or plot that anyone who isn’t familiar with the original might not even notice. At any rate, if you haven’t read any of these classics yet, I can’t recommend them highly enough. Yes, I’m playing a little loose with the definition of the term classic in this post. I believe that the more modern books I included are going to be as highly praised a century from now as they are today. 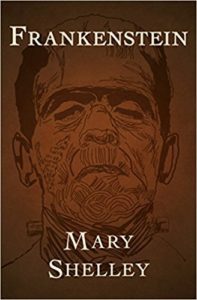 Ignore everything you may have heard about Frankenstein from TV shows and movies. Frankenstein wasn’t even the name of the creature that was created by nineteenth century science and ingenuity. That name actually comes from Dr. Frankenstein, the scientist who first came up with the idea of stitching the bodies of various corpses together and seeing if he could bring his creation to life. What I appreciate the most about this tale is how much attention it paid to developing the characters. No one was perfectly virtuous or villainous in the storyline including the monster himself. Yes, this is part of the horror genre, but it probably isn’t the same type of horror most people imagine when they think about this genre. All of the fear has a purpose here, and it’s not simply to frighten you. It wants to make you think. 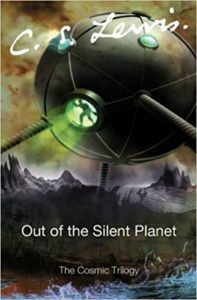 “Out of the Silent Planet” by C.S. Lewis. What if the Earth isn’t the only planet in the universe that contains intelligent life? What if we’re not even the most interesting populated planet out there? That’s all I can say about this storyline without giving away spoilers, but this trilogy was full of delightful plot twists. C.S. Lewis really knew how to play around with the common tropes in the science fiction genre and come up with a new approach to them. 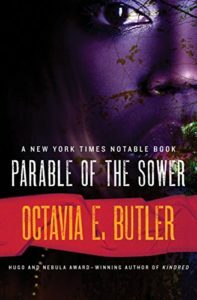 “Parable of the Sower” by Octavia E. Butler. I wish Ms. Butler had lived long enough to finish this series. She wrote so many incredible things, and “Parable of the Sower” is honestly one of the best science fiction stories that’s been written in the last 50 years. The characters in this tale did watch their financial and social prospects dwindle for many years before their home literally burns down and they’re forced to march north and hopefully find a safe place to live. “Fahrenheit 451” by Ray Bradbury. 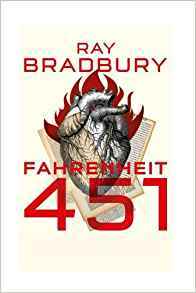 The warnings in this tale about what censorship and totalitarianism do to a society are as timely now as they were when Mr. Bradbury first released this work. I also enjoyed the descriptions of how the government in this world got people to stop reading books and thinking for themselves. What I assumed they’d do to shut down the flow of information was the exact opposite of how it actually went down. There were a lot of reasons why I enjoyed the storyline, but this was one of the biggest ones. I never would have guessed that the average person could be so complicit in creating a new government that wasn’t actually what they wanted at all. 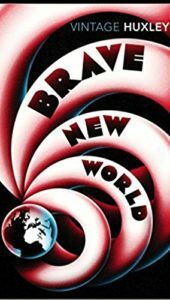 “Brave New World” by Aldous Huxley. On a somewhat silly note, the cold, clinical scene that showed how babies are gestated in this society still haunts me. It’s not gory or anything, but it was nothing at all like how humans reproduce in our world. I read that section two or three times in a row to fully understand how it worked the first time I picked up this story. One of the other reasons why I recommend this tale so highly has to do with how it approaches the idea of prejudice. No one is born with prejudices. They’re something that have to be directly or indirectly taught to a child. How this happened in this society was as creative as it was disturbing.